Several new streets and major improvements to existing ones are in the works for Tysons. 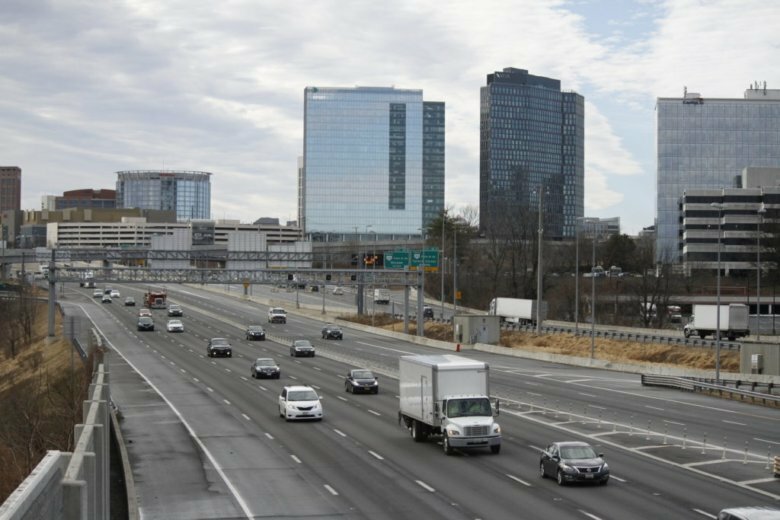 The Fairfax County Board of Supervisors made a small adjustment on Tuesday (March 19) to make developers pay a little more of their share, but the report offers a glimpse at what’s ahead for local roadways. With no discussion, the Board voted unanimously to approve a 1.9 percent increase in the developer contribution rate to the Road Fund and approval of guidelines for those funds’ usage in Centreville and Tysons. The staff report also included a list of transportation projects either underway or in planning for Tysons’ streets. Route 123 Improvements: Changes planned for Route 123 in Tysons East in the early stages of being developed as a “superstreet,” which would modify left turn movements to facilitate regional through movement. The project has finished simulations and is currently undergoing initial design. Route 7 Widening and Interchange: A study has been recently completed on a plan to widen Route 7 and implement new improvements at the Route 123 interchange. Stakeholder meetings are planned for this summer. Cleveland Ramp Alternatives: A new ramp is planned to connect the Dulles Toll Road to new sections of the Tysons East grid of streets. Greater access to the Dulles Toll Road is part of several transportations discussions currently ongoing in Tysons. Jones Branch Connector: An alternative access route from eastern to western Tysons passing over I-495. The project is currently in construction with completion planned for this fall. State Street: A new street, named State Street, is being developed to connect Boone Boulevard and Greensboro Drive in Tysons. A study of the project has been completed and options for project implementation are being discussed. Lincoln Street: Another proposed new street to connect Route 123 to Magarity Road, intersecting with Old Meadow Road and other future streets. The core idea for the new street is to move traffic from existing developments northeast of Tysons Galleria to Magarity Road. A feasibility study is ongoing. Center Street: A new street planned within the Tysons urban center. A report is expected sometime this summer. Many of the new streets listed in the report are centered around the areas northeast of Tysons Galleria and in Tysons East, the points at either end of the Jones Branch Connector and both planned sites for major redevelopment.